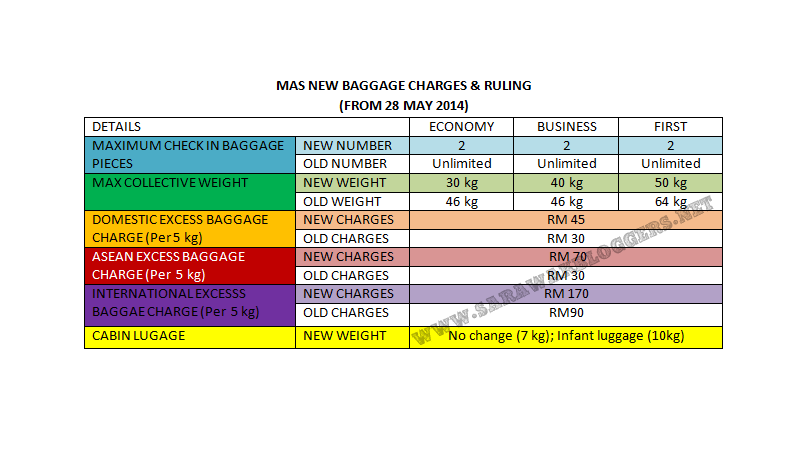 Passengers on all Malaysia Airlines flights will now be limited to two pieces of baggage for check-ins and subjected to lower maximum luggage weights beginning tomorrow (28 May 2014). Passengers boarding on Economy class are set to a maximum total of 30kg worth of baggage, while a maximum of 40kg is set for Business and 50kg in total for First Class. Previously, passengers could check in as many pieces of baggage they wanted as long as the total weight limitations were adhered to which was 46kg per pair of luggage in total for Economy and Business, and 64kg per pair in total for First Class. 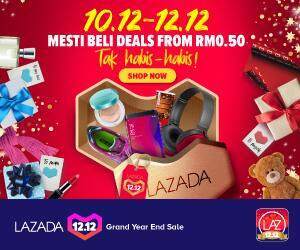 Excess baggage would also incur new, and higher charges with flights within the peninsula, Sabah or Sarawak charged RM45 for every 5kg exceeded from the former RM30 for every 5kg. International flight passengers on the other hand will be charge from RM70 per 5kg for Asean destinations to RM170 per 5kg for European destinations. In the past, the excess baggage fine for Asean stops was RM30 per 5kg and it was RM90 per 5kg for European destinations. According to the national carrier, the new restrictions and regulations will not apply to MAS code-share flights that use aircraft from other airlines. The limitation for hand-carry luggage (7kg) remains unchanged, as does that for checked-in infant luggage (10kg). Also, passengers who are performing the Haj or Umrah have a special allowance of 10kg for bottles of Zam Zam water on flights from Jeddah.